Year-round team members celebrating Camp Casco's second anniversary with a campfire & s'mores! Year-round team members Whitney, Grace, and Erin posing with Ashlynn, two-time camper and one of our very best fundraisers! Year-round team members volunteering for our friends, Haymakers For Hope, fundraising event & boxing match in May 2016! Year-round team members celebrating our second week of camp in August 2016 at Abe & Louie's! Year-round team members after wrapping up our October family social, cupcake decorating at Treat Cupcake Bar in Needham! Our volunteers are absolutely crucial in helping us accomplish our mission. By assisting with everything from budget projections, camp supply organization, camper application management, and writing grants throughout the year, we are able to meet our annual fundraising goals, provide numerous family services throughout the year, and keep our organizational costs to a minimum. We adore our Camp Family and are grateful for all they do to make Camp Casco possible. As a small, growing organization, every volunteer makes an impact on our current services, and has the opportunity to truly shape our future. "I volunteered for a rock climbing event with Camp Casco at my gym one weekend and fell in love with all of the kids that came to climb. Even with everything they were going through, they were all smiles and more determined to reach the top than anyone else in the gym. I can't wait for camp to run around and sing all of our campfire songs!" "I started volunteering for Camp Casco only a couple weeks after my daughter was born. As a mom, all I want is for my little girl to grow up in a world of fun, love, and laughter. 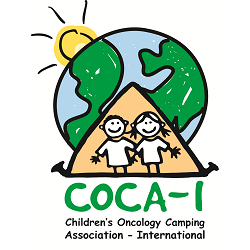 Camp Casco is able to give that experience to these incredible children who have been through so much and deserve all the happiness in the world!" "Camp Casco is a huge part of my life! It means a lot to be able to affect the lives of children who have cancer now to complement the cancer research I do everyday at the bench." "I love being a part of Camp Casco! We give these amazing kids a chance to have fun and just be kids again. Seeing them laugh and play together, while pelleting each other with water balloons and singing songs around the campfire, is the best feeling in the world."